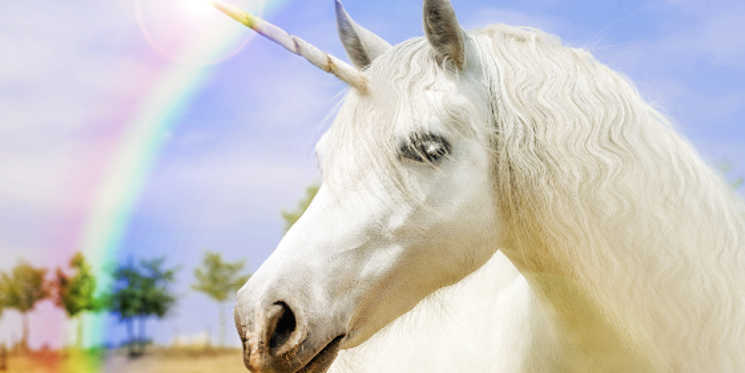 Is an Inbound Agency partner better than a unicorn? If you're in the early days of implementing inbound, or if you're still considering whether inbound is the right fit for your company, one of the first questions that comes to mind is bound to be: what is it all going to cost? That's not just monetary value, but also effort and resource. Inbound marketing, when done right, takes time. It requires precision planning, execution and analysis, which gives even the most capable of marketers a burgeoning to-do-list. It also won’t necessarily replace the valuable work of your existing marketing team - exhibitions, merchandising, trade shows, internal communications, paid media etc. So in order to do it properly, it is likely you are going to need to call in the experts. In this blog, we outline two options - recruiting an Inbound Marketing Specialist, or Hiring an Inbound Agency. Your initial reaction might be to consider recruiting an in-house Inbound expert. Bringing in external agency can, understandably, be a daunting prospect and you want to keep your resource in-house. If you recruit, you have complete control over the selection process. This is a long term investment, so you want to make sure the candidate is the right fit for your company by taking them through your induction process and getting up to speed with your company's cultural values and vision. You have control over their workload and priorities and can adjust as required. And you now have an extra pair of capable hands when resources are low. All sounds pretty good so far? Well recruiting has its limitations. Inbound marketing is a complex machine with many moving parts. Quite frankly - you will need a unicorn! Someone who has the ability to wear many hats and excel at varied tasks. Not only must they be an expert marketer, but will need expertise in areas such as design, website development, social media, content writing, and strategic analysis. Not an easy combination of skills to recruit for. To find someone with the right level of expertise may be expensive, as highly experienced Inbound Marketing Specialists come at a premium, and it's not just salary you need to consider, but also employee benefits; IT equipment, phone, holiday cover etc. And, even Unicorns will have a learning curve before they are fully up to speed. They need to learn your business, become familiar with your products, and settle into your company’s way of working. Finally, you'll need to invest in a CRM and marketing platform, such as HubSpot to really do Inbound marketing right. Without it, you'll be reinventing the wheel and waste valuable money and budget on output such as web design, for example, never gaining any true visibility of your success. It’s true there are many free or low cost tools that do elements of Inbound - Mailchimp for email, Hootsuite for social - but your Inbound marketing specialist will soon be frustrated by logging in and out of the various platforms, clutching at straws when it comes to measuring the ROI of Inbound. You need to keep your employees happy, especially unicorns, before they up and leave. The alternative is to hire the services of an Inbound marketing agency partner. True, you will be relinquishing some control of your marketing, but by choosing an agency with a specialism in your field you may be able garner their expertise in your industry, opening up marketing opportunities you had not previously considered. The retainer pricing of an agency may, on first view, seem expensive. But if you consider the value in expertise, skill and knowledge that comes in the form of a team of specialists, it's a no brainer when compared with the costs, and outcome, of recruiting in-house to manage every area of inbound. So how should things look once you've found your inbound agency partner? You will likely have an Inbound Marketing Consultant (IMC) who will manage your account and be your main contact, but they will be able to draw on the expertise of their in-house web developers, designers, content writers, administrators and SEO strategists. Each with a deep knowledge of their area of specialism. The turnaround time for project - such as writing a peice of cornerstone content, and all of the work required to get it designed, uploaded, optimised and bring in new leads, could take a matter of days, rather than potentially months if your internal inbound marketing specialist is going it alone. There is also no settling-in period, your agency will be able to hit the ground running. Yes, there will be a period at the start where they are learning your business, but this early strategy phase is mutually beneficial, where you will work with your agency to develop and enhance your brand, buyer personas, website, content, and potentially even your sales process. Once, the initial strategy work is complete, your agency will be focussed on continuous improvement. Many agencies have adopted an agile scrum approach to delivering Inbound. This strategic approach ensures that outcomes are consistently aligned with your goals for the month, quarter and year and enables your agency to fine tune, amend and enhance activity and gain the traction needed to deliver meaningful results for your business. Through weekly calls with your IMC, monthly backlog meetings and quarterly reviews, you will have full transparency of what has been achieved, what is planned, and how this activity is going to impact your bottom line. A single employee, unicorn or not, will struggle to deliver this level of granularity and transparency. There are some disadvantages to hiring an agency. Not all agencies are equal, and finding the one who is a right fit for you can sometimes be a challenge. You maybe tempted to ask two or three to provide a proposal or pitch for your business, but there is a risk you are comparing apples with oranges unless you have a clear understanding of what they will deliver for their retainer fee. Like many things in life - you get what you pay for, so don’t be swayed by the cheapest fee. Do they practice what they preach - This agency will be managing your inbound marketing, creating content for you, probably using a marketing platform like HubSpot. But, do they do inbound on themselves? How often do they blog, and are the blogs relevant and helpful for you? Which HubSpot, or orther equivalent certifications have their staff completed? How useful and easy to use is their website - does it have content offers such as eBooks, and are there clear calls to action? Company Values, Philosophy and Culture - What are their values and their philosophy, and do they live and breath it? Go and visit them at their offices, and get a feel for their working environment - does it seem healthy and energetic? Do you think they are a good fit for your organisation’s values and approach? Track Record - How long have they been doing inbound? What other clients have they helped? Do they have case studies and testimonials? Ask for references from current and past clients. If the agency are not forthcoming with this information, it should ring an alarm bell. What do they have to hide? Process, reporting and accountability - Do they have a clear process? What reporting do they offer? How will they hold themselves accountable, over what time periods? Some agencies might offer a cheaper retainer by tying you into their services for an extended period. This is all well and good as long as you have some assurance they will deliver against your goals and timelines. Agencies using agile scrum, as explained above, will be very transparent and be fully accountable at every step. Are they specialised - Many inbound agencies are one size fits all, they are on a fast growth curve by simply going after any business they can get. Many are very successful at it, but alas, some are not. If you work in a particular niche or market sector, look for an agency that specialises in your field. They will have a deep understanding of your challenges and be experienced in getting your business in front of the right people at the right time, which after all, is they key to a successful inbound campaign. We hope this blog has been helpful in helping you weigh up whether you should hire or partner. If you decide to go the unicorn route - good luck in your quest. If you would like to learn more about working with an inbound marketing agency, get in touch.